I first recognized that I wanted to help families experiencing difficult times while I was in undergraduate school and working with teenage mothers struggling to balance their educational goals with the demands of raising their children. After completing my undergraduate degree in Cultural Anthropology at the University of San Francisco, my desire to help children and families led me to pursue a legal education. I moved to Colorado to attend law school at University of Denver where I received my Juris Doctorate degree. 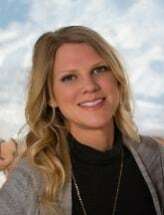 My legal experience includes working in a small law firm specializing in private adoptions, serving as a Guardian ad Litem advocating for the best interest of children in the juvenile system, and working as an associate at a Denver law firm specializing in high-conflict, financially-complex domestic litigation. Through these experiences, I refined my knowledge of domestic and juvenile law and gained an understanding of complex family dynamics. My philosophy is to handle issues efficiently and at the least possible expense to clients. I regularly communicate with the client concerning the legal issues, range of available solutions, and costs/consequences associated with the various courses of action. Recognizing that each family's situation is unique, I work closely with my clients to understand their individual needs and circumstances so that I may advise them as to the most effective solutions. I believe that clients are most satisfied with the resolution of domestic issues when they actively participate in reaching amicable solutions with the opposing party rather than have the court dictate orders regarding one of the most personal aspects of their lives. I strive to help my clients reach equitable resolutions to domestic conflict; however, I also recognize that amicable solutions are not always possible. If a matter must ultimately be decided by the court, I vigorously advocate for my clients in the courtroom.